Look up the air pollution levels at your destinations. Two excellent online resources for this are BreatheLife (BreatheLife2030.org)—a campaign led by the United Nations and World Health Organization (WHO)—which provides an easy-to-understand gauge of air quality in many cities…and the outdoor-air-quality section of the WHO website (WHO.int/gho/phe), which provides greater detail including air-quality maps for additional areas. 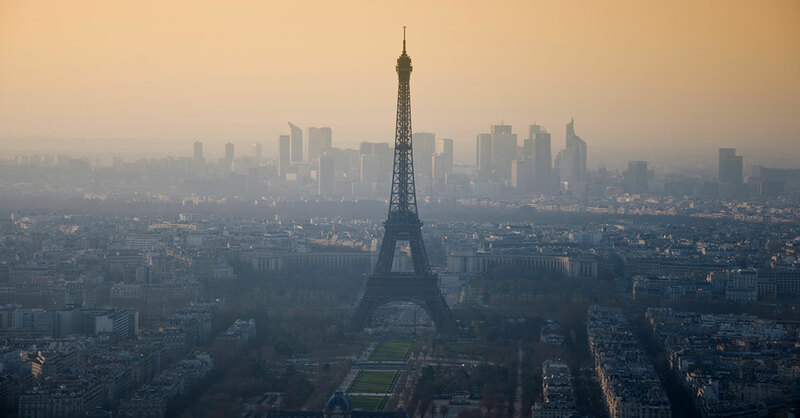 What to look for: A measure of air quality called the mean concentration of fine particulate matter—abbreviated as PM2.5—that is in excess of WHO guidelines. WHO tracks particles of two different sizes in air, and air is unhealthy when particles of either size exceed a certain level. Example: The mean concentration of “PM2.5” particulate matter in Mumbai, India, is 64 micrograms per cubic ­meter of air—more than six times WHO guidelines. Pay attention to the season when assessing air pollution levels. They can be high at any time of the year, but current evidence suggests that winter and summer months can be the most dangerous. Air pollution can be worse in winter because pollutants get trapped by the colder air and more fossil fuels are burned for heating (especially in places that still burn a lot of coal). In the summer months, high temperatures and ­humidity can increase the concentration of some pollutants. People with preexisting conditions also can be more sensitive to high temperatures and humidity, especially if they’re not acclimatized to the hot weather. The best time to travel may depend on which temperatures you fare better with and the seasonal patterns of pollution at your destination. Make a precautionary visit to your doctor. This is particularly important when traveling to a destination that has air-quality issues if you have a preexisting heart or respiratory problem such as asthma, COPD, chronic bronchitis or emphysema. If you have a preexisting respiratory or heart condition and/or you are over age 60, also ask your doctor whether you should have a physical exam that includes a stress and lung-capacity test. These tests could help you and your doctor get a more detailed picture of your heart and lung health, which might suggest that additional precautions are needed—or even that the trip is not safe for you at all. Ideally, any precautionary medical appointments should occur at least six weeks before your trip departure to ensure that there’s time to receive any tests or treatments your doctor recommends. Plan indoor afternoons. Air pollution levels tend to peak in the afternoon, so when visiting places with poor air quality, check off your outdoor to-dos in the mornings and evenings…and save indoor activities such as ­museum visits for the hours between lunch and dinner. Ideally, these indoor activities should be in buildings that have air-conditioning—the air quality inside an ancient, un–air-conditioned castle or cathedral might be no better than that of the surrounding outdoor air. Indoor locations where many people smoke cigarettes or where there are woodstoves can be even worse, so avoid these as much as possible. Safety: Heed any local smog alerts or air-quality warnings that you spot in local news outlets, even if this means spending entire days mainly indoors. The Air Matters app (Air-Matters.com) provides real-time air-quality updates for thousands of locations. Avoid strenuous outdoor physical activity. Physical exertion makes us breathe more deeply and rapidly, increasing our intake of any pollutants in the air. That means it’s a good idea to skip the scenic bike tour during rush hour…and the hike up the mountain during high-smog days. Don’t depend on a mask to protect you from air pollution. You might see people wearing surgical masks outdoors in areas that have air pollution problems. Do not follow their lead—they are not getting the air pollution protection they expect because surgical masks are not designed to filter air. And even with masks that are designed to filter out PM2.5 particles, there is no conclusive evidence to prove that they are effective. If you decide to wear a mask anyway and have a preexisting heart or respiratory problem, ask your doctor whether it is safe for you to wear one or whether the challenges of breathing through a mask will make it even harder for you to get the air you need.